Day one in the Isle of Skye began with sunshine and a picture-perfect Loch. 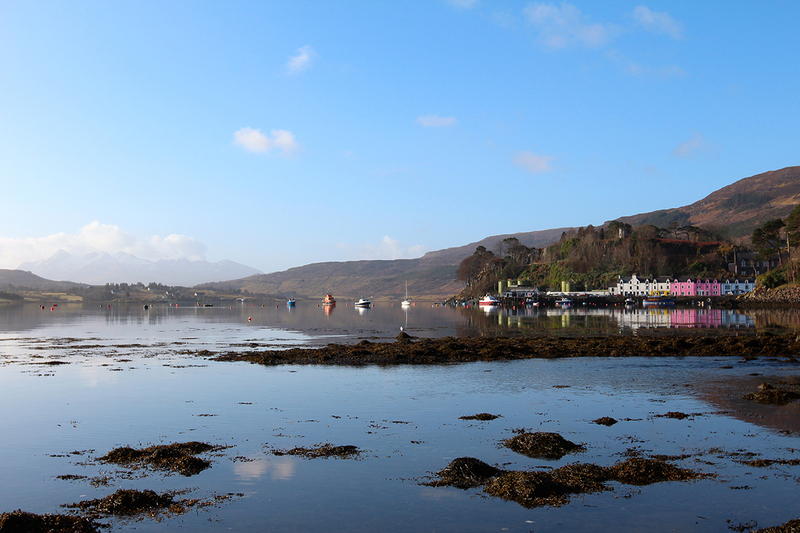 After a hectic few months, waking up in Portree, the capital of Isle of Skye, was like a dream. The sky was blue, the Loch in front of our hotel was perfectly still, and the pretty pastel colours of Portree’s houses shimmered and shone their way across the waters from our hotel: Cullin Hills Hotel. After a quick breakfast, we began our journey to our first stop: Elgol, where we would be taking a boat trip to hidden Loch Coruisk: one of the remotest spots in Scotland. Fabled for its dark, 100 feet deep waters and isolated location, this is a mysterious yet stunningly beautiful spot to visit. 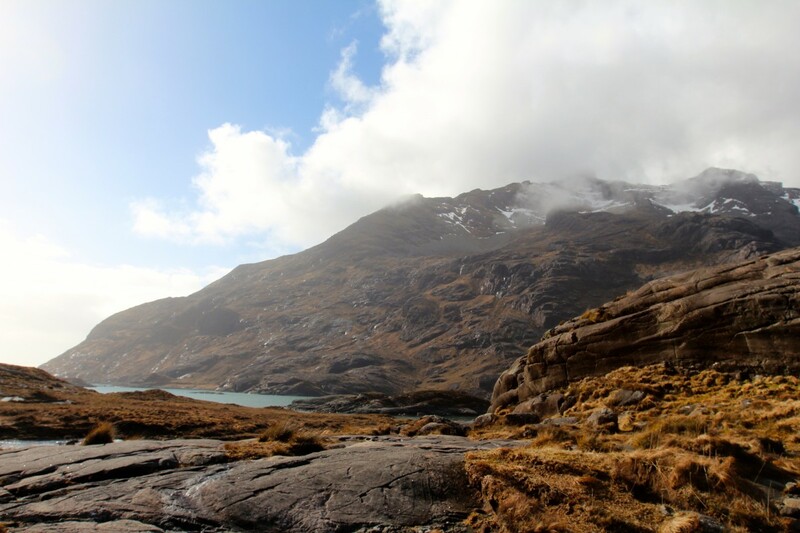 The drive from Portree to Elgol is over an hour, but do not be put off. Driving on the Isle of Skye is like driving through film sets: snow-capped mountains; dramatic waterfalls; huge martian like plains; dramatic coastlines and breath-taking sea views. The landscape changes constantly; a kaleidoscope of different colours, textures and scenes. Driving through this island, is anything but a chore and our drive down towards Elgol was one of the most scenic in Skye, taking in the dramatic Cuillen range. We used Misty Isle Boat Trips for our adventure to Loch Coruisk, located at the end of a very winding road leading out to the Atlantic. Once there, we were greeted by friendly faces and chocolate: an excellent start! After a short safety briefing, we began our adventure, out towards the dark Cuillen mountains. 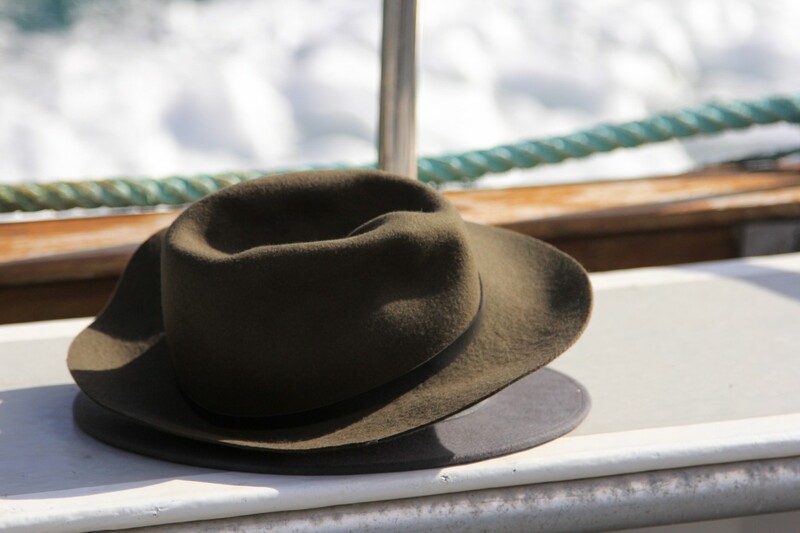 The journey across takes around twenty minutes, during which time you can see anything from dolphins to basking sharks! You’ll also spot some of Scotland’s smaller Western Isles, such as the Isle of Muck and Isle of Rum. These are all easy to visit throughout the summer and are well worth a day trip, if you have time. On our journey across, we stopped to greet a colony of lazy, sunbathing seals, who looked entirely unimpressed to see us! It was wonderful to see them, lying so happily in the sunshine. As the water began to narrow, the boat meandered its way through to a small jetty, at the mouth of the Scavaig River. It’s here our adventure began! 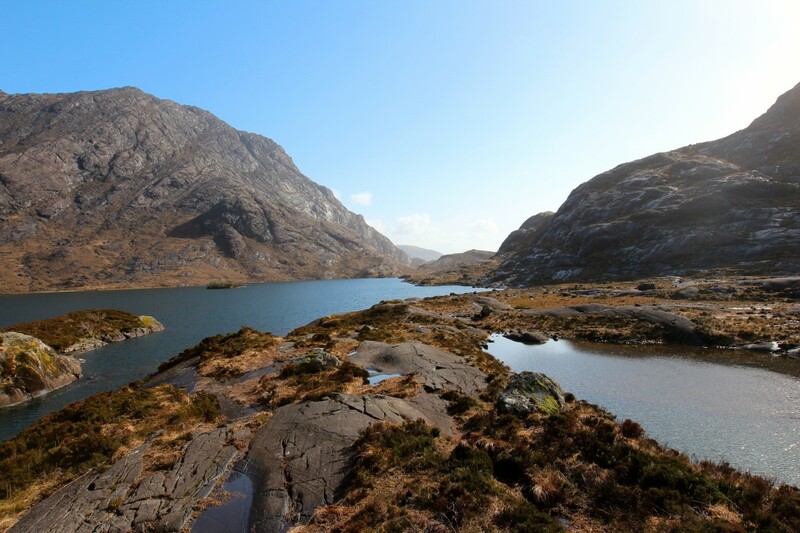 With an hour and a half to explore Loch Coruisk, we immediately started scrambling our way across the gleaming granite rocks, towards the Loch. Our skipper mentioned that we should cross some stepping stones, to reach the other side of the Loch, where the view is best. 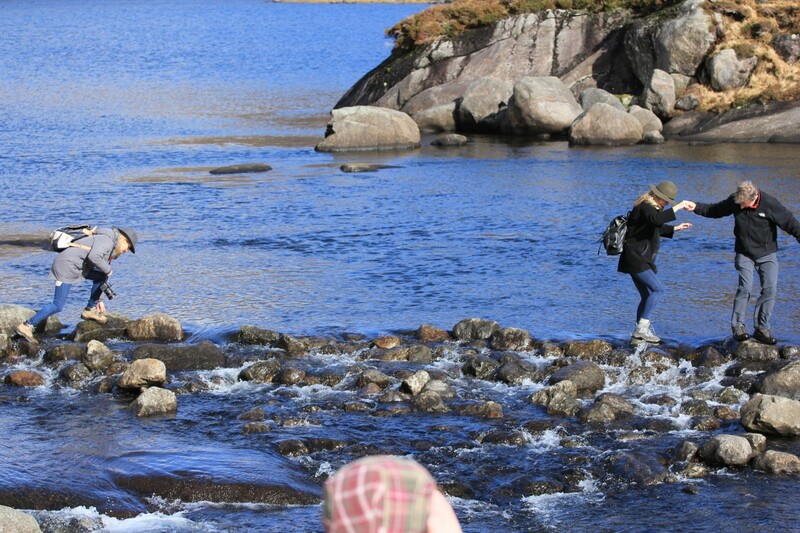 Dutifully, we marched our way towards the rocks and began to slip and slide our way across. However, with a lot of rain recently, most of the rocks were submerged and we got a little panicky. Suddenly the half a metre of water below us became a ‘Titanic’ situation. Here we’d like to thank the kind man who came back across the rocks (twice) to drag us back to safety. We owe you. After giving up on that and acquiring wet socks, we set off for the other side of the Loch instead. 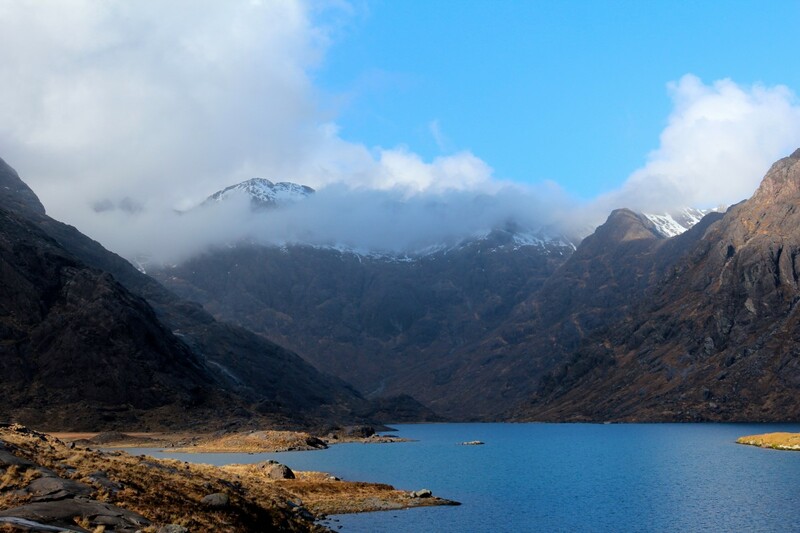 After a short walk, we rounded the corner to reveal Loch Coruisk in all of its mysterious and magical beauty. This place is beautiful! With a dark, still and eerily silent mass of water, pinned in by the towering peaks of the Cuillens, we decided this is definitely the sort of place that monsters live. As clouds and mist hung from the peaks of the mountains and birds of prey soared overhead, we made our way around the Loch, eventually stopping for lunch on a sunny rock. The hour and a half here slipped by. You could definitely spend all day here, lost in the Loch’s magic. This is an option with Misty Isle if you want to stay longer. After eventually tearing ourselves away from our sunny spot and finding our way back (only one tumble from Laura), we were greeted back onto the boat by a cup of tea and some biscuits, ready for our journey back to shore. 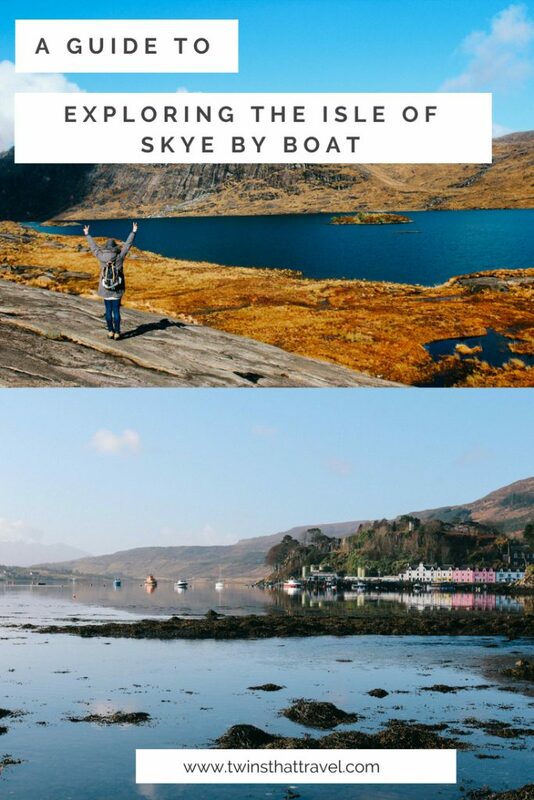 We were so glad we took the time to take the boat trip, which revealed a truly wild side of the Isle of Skye that felt just as untouched as the day it was formed. "What You Need to Know Before You Plan a Wedding Abroad!" Love these photos! It’s stunning up there!